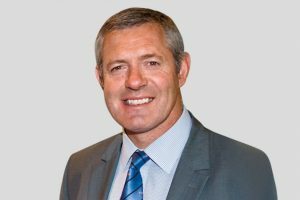 Gavin Hastings OBE Former international Rugby player is an entertaining and exceptional after dinner & motivational speaker. A former Captain of Scotland and the British and Irish Lions. He is recognised by many as the greatest full- back of all time. He captained every team he ever played for including Watsonians, Cambridge University, London Scottish, Scotland, the Barbarians and the Lions and is widely recognised as one of the finest players of his generation. Earmarked for success from nearly age, the Edinburgh-born Hastings attended George Watson’s College before gaining his Cambridge Blue. First picked by Scotland in 1986, he was to lead his country on 20 occasions. With brother Scott playing alongside him, ‘Big Gav’ loved to hit the line at speed, using his 6ft 2in, 15st frame to bust defences Gavin Hastings is a qualified Chartered Surveyor who is now a director of two businesses involved in Corporate event planning and motivating business leaders.